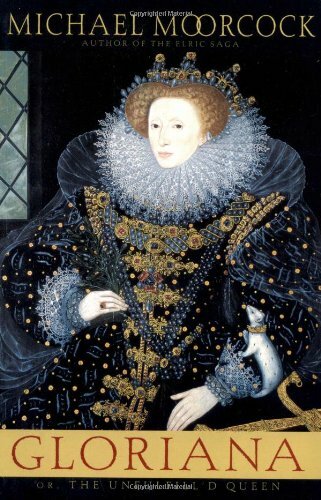 A fable satirizing Spenser's "The Fairie Queen" and reflecting the real life of Elizabeth I, tells of a woman who ascends to the throne upon the death of her debauched and corrupted father, King Hern. Gloriana's reign brings the Empire of Albion into a Golden Age, but her oppressive responsibilities choke her, prohibiting any form of sexual satisfaction, no matter what fetish she tries. Her problem is in fact symbolic of the hypocrisy of her entire court. While her life is meant to mirror that of her nation - an image of purity, virtue, enlightenment and prosperity - the truth is that her peaceful empire is kept secure by her wicked chancellor Monfallcon and his corrupt network of spies and murderers, the most sinister of whom is Captain Quire, who is commissioned to seduce Gloriana and thus bring down Albion and the entire empire.